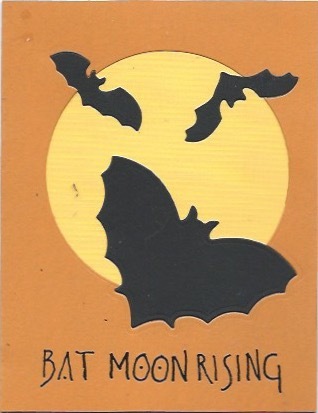 GREETINGS ONE AND ALL....I must say that the title is self proclaimed but I do really love halloween and I have just returned from my annual calligraphy retreat where I typically work like a mad man to make as many halloween cards as possible…. 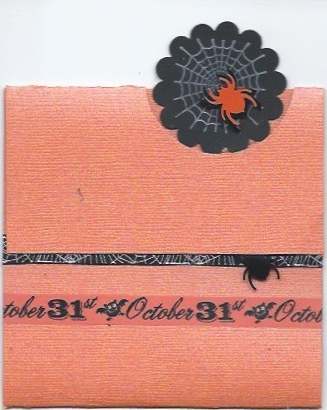 all kinds all styles as long as they are a halloween…. 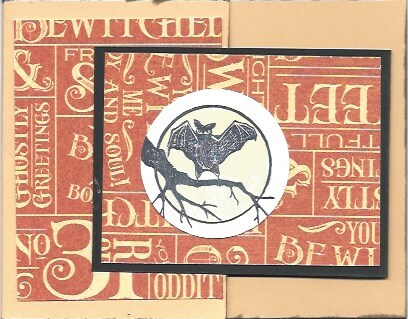 so this blog is going to show you some of the ones I have done and hopefully inspire you to make HALLOWEEN CARDS… and then send them to friends and even e mail me one so I can add it to this post…. So here we go…. 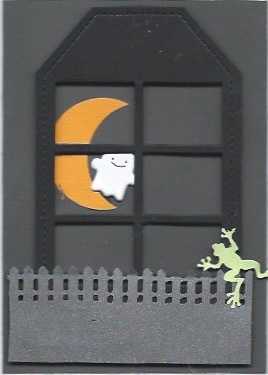 Ok the first one isn’t a halloween card but it does layer the die cuts and the second one does also… with bats and moon…. 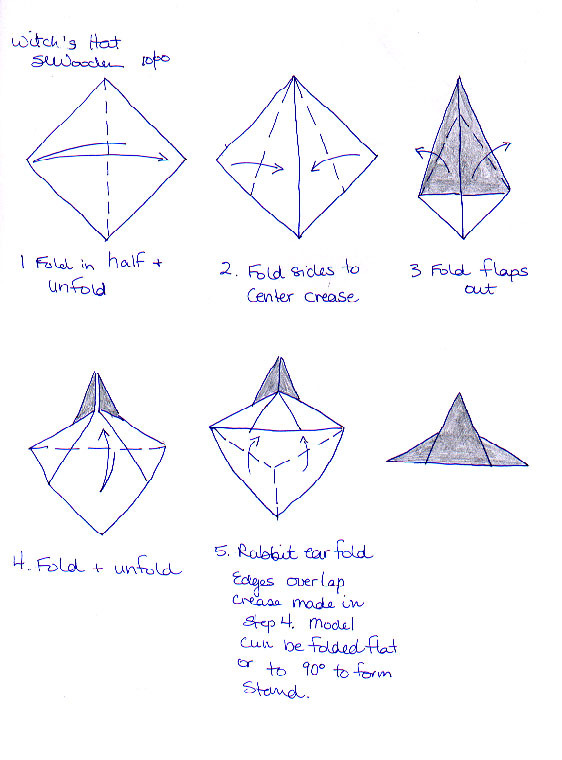 here is the link to my blog on this technique but the actual video will be on SCS…. 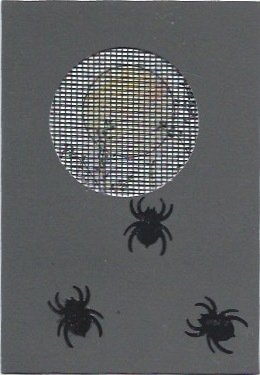 just go to tutorials and type in INLAID die cuts.. 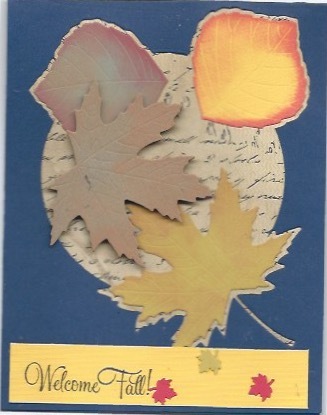 This one is just the JOY FOLD CARD and I know its on my blog and think its also on DAWN’S and maybe even SCS..don’t know how it got the name of JOY FOLD but type that in the search and it should come up.. 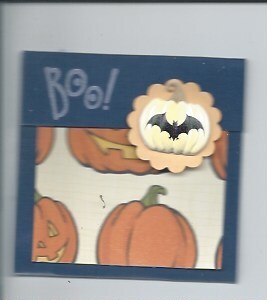 These are both those little flap fold cards that DAWN does all the time… cut 3 ” x 7 ” score one end at 1 ” and fold then fold the bottom up to the score line… then use a button or just a circle square etc and mount it with foam tape so you can tuck the 1″ fold under it to hold it closed… easy peasy.. 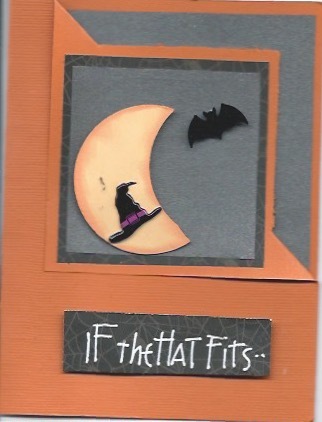 The video will be on DAWN’s site type in FANCY FOLD CORNER CARD.. but more images info is on my site and this is one I did for halloween.The hat is a brad I got from IMPRESS RUBBER STAMPS… I JUST LOVED IT and the moon was just a piece of circle and I rubbed some darker orange around the edges…. 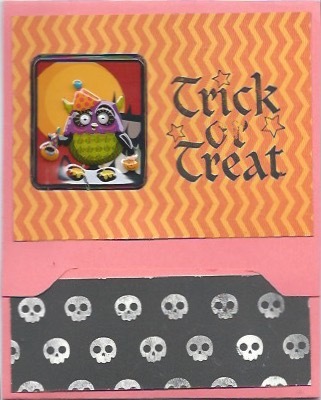 This is not the little 3″ square ..this is cut 4 1/4 by 11 then scored about 2″ then bottom folded up to score line…using the scallop punch or die cut a opening centered on the top fold score…then the piece that sticks thru the opening is mounted on the front of the bottom fold make sure its smaller than the opening for easy open and close… Love this… I also used ribbon and washi tape on the front of the card. 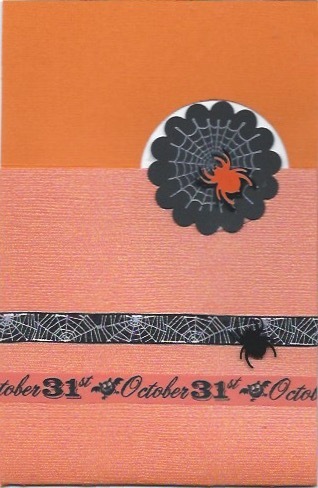 Well that’s the highlight for most of my cards… but I am still working and also packing for FL… but just for fun… here are some sites that show you how to fold ORIGAMI for Halloween. 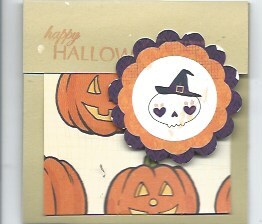 This entry was posted in Cards, Die cuts, Embellishments, Folding/Origami, HUMOR, Punches, TIPS/HINTS by kath. Bookmark the permalink.